This was one of our favourite exhibits. 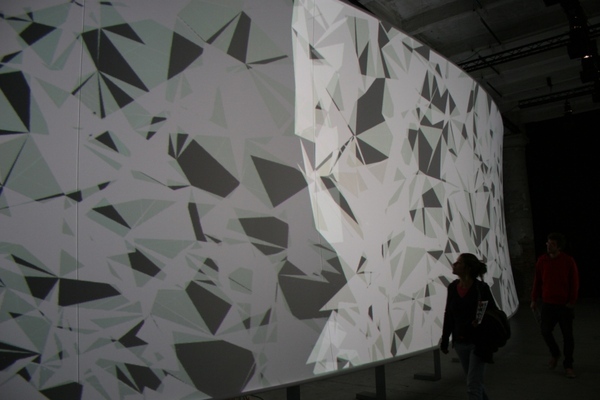 There were two huge, curved screens facing each other which you walked between. Motion sensors then determined what music was played and what was shown on the screens.